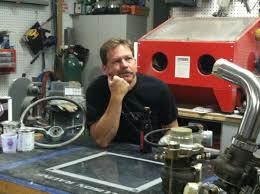 Just ruminating about my next build. Beverages are optional. I like “Bench Building”; which, much like “Bench Racing”, is a time honored method to waste hours of time and has nothing to do with building benches or anything else useful. The act of Bench Racing involves leaning back against your work bench and ruminating on how fast you were, could have been, or some day will be. Still unsure? It’s the fish that got away. It’s the dog fight demonstration with the fighter pilot “shooting his watch”, or the 12 point deer that you are sure you hit – “the blood trail must be around here somewhere!” While Bench Building I like to dream up some rather unlikely car and drive train combinations and see how far I can get in the design process before I decide I must just be completely crazy. Many of you know that I work for an airline and that I drive from my home to Albuquerque (172 miles one way) to work each week. Sometimes my schedule requires that I drive to Phoenix instead, that trip is approximately 425 miles each way. That works out to about 3 hours for the short trip and 6.5 hours for the long one, spent in my hoopie car. (I don’t know where the name came from, but every small car my family ever owned got that name – on lives the tradition!) All that time spent on the highway lead me to decide that I need a good, comfortable, smooth running, smooth driving car with reasonable fuel mileage. Can you hear my cranial wheels turning? It’s Bench Building time! Currently, my commuter car is a 2006 Nissan Sentra. (BECAUSE IT IS GOOD ON GAS, SO LEAVE ME ALONE ALREADY!) It is getting a little worn out, and I am getting tired of driving a roller skate. I would like a little more space and a smooth ride that can also hold its own on an on-ramp. With that criteria in mind, I bought a 1981 Volvo 242. The purchase of this particular car was partly influenced by nostalgia. I had a 244 in high school and part of college, and have always missed it. 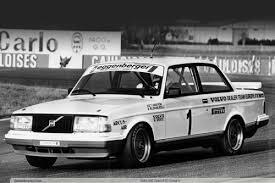 (The only difference between a Volvo 242 and 244 is 2 vs. 4 doors.) It was a GREAT highway car. My “new” Volvo will need a few things to live up to my standards; a new Ford Coyote V8, 6 speed transmission, and a full up air bag suspension for the smooth ride and the ability to carve corners. A little paint and interior, sound system, Nav, and – well you get the idea. In the meantime, a good friend of my suggested that I buy his Lincoln Town Car and just drive it. He maintains it meticulously and since it only has 150,000 miles on it, it should be good to go, right? Of course, we all know nothing stock is EVER “Good to Go”. As my mind wonders about the possibilities with the Town Car I remember that I purchased a set of turbos (because I couldn’t live without them), and they would fit really nice under the hood of my new cruiser. It should only take a week or two to get the twin turbos and an intercooler all fabbed up and running, right? Wait. I already have the Volvo! The Town Car is out. So, I start thinking (yes, there was smoke), what if I picked up a cheepie C4 Corvette just to get it’s chassis? Would the 242 body fit? As it turns out, they almost fit, which was close enough to send me off on another tangent. I could flair the fenders like Volvo did in the 80’s for their racing teams, shorten the C4 frame, and presto – I have a real corner carver! A little paint, a new straight 6, an overdrive kit…..a C4 chassis…. But wait! You know what would be even better? 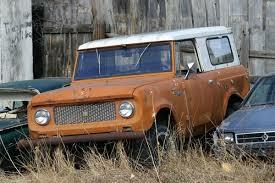 I know where I could get an early (small body) International Scout! I bet that would fit the C4 almost exactly. How cool would that be? A Scout that can go fast and turn? Wait! Wait. That’s nuts. I am not driving an old Scout (Corvette underneath or not) to and from Phoenix or Albuquerque every week! Back to the Volvo. Dang. Thanks Dad. Way to ruin a perfectly good Bench Building session. Reality – who needs it? Where is all this going you ask? I don’t know. I am just daydreaming and spewing my thoughts out on to this keyboard. The upshot of all this is; if you try enough scenarios you will eventually come up with at least one you really like. Then, you should get out there and build it. You only live once. To have a great life, you should work hard, be the friend that you would want to have, love like it all ends tomorrow and, most of all Enjoy it!> Build it! stuff beyond my (perceived) abilities. Plus. I need to get over it !